Hey there amazing BADASS and beautiful soul! 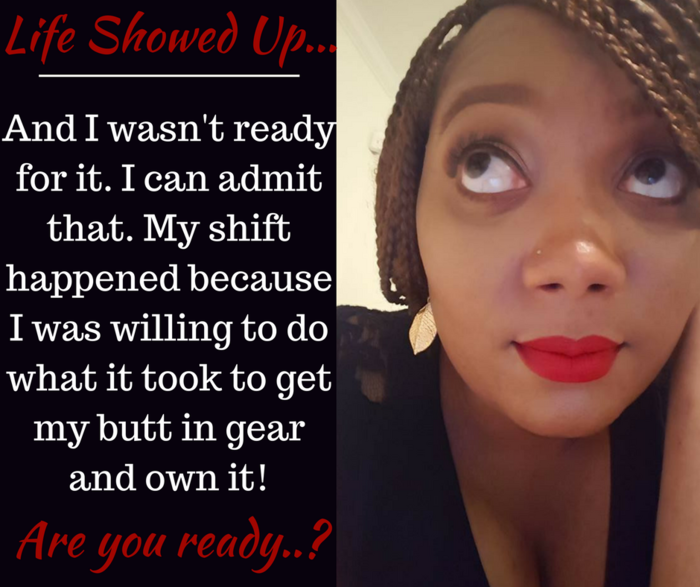 I can't wait to work with you and help you shift from existing or surviving into your THRIVING space! Take a look at everything that I offer and let's develop a plan for you. Let's make this happen! There are so many ways that we can work together. Not sure where to start? Let me guide you! -- As you need more guidance and are ready to go deeper, or if you already know you are READY and desire a more one on one connection and more personal check in, then dive into the INDIVIDUAL: INTUITIVE, HEALING or MASTERMIND sessions. Session options are Listed in the Heal Thyself category below. 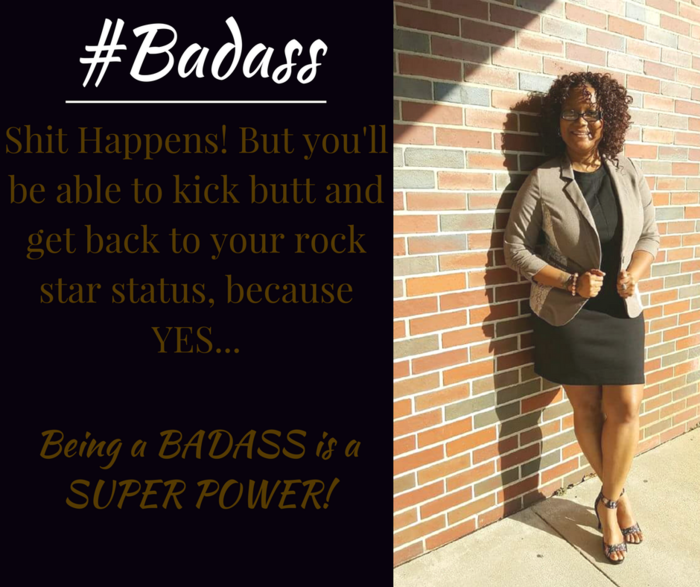 -- If you are ready to go all the way in and really supercharge your life in ever area, the BADASS 6 week journey is for you. Listed in the Heal Thyself package category below. -- If there are certain topics that you want to go deeper into, sign up for the mini courses like the Boundaries, Self-care or Crystal Grid classes, etc when I have them available, they will show on the schedule. -- Pass on the love and guidance by treating yourself or purchasing goodies as a present for a loved one. A bracelet, necklace, subscription box or a gift certificate make an original and thoughtful present. Listed in the GIFTS category below. Let's have a brief chat and see if our energies resonate and we make a good match to support you in your journey of healing. THIS IS NOT A SESSION. You can ask about my background if you have questions, tell me what you want to focus on and the goals/outcomes you want to accomplish in your life right now. During this session, you'll be able to ask questions and well dive into the topics most helpful for you and your specific situation. In this session, you to choose an area of focus and we'll strategize to design your inspired action plan to help you implement and experience positive change. You will have up to 90 minutes to use. *Uncover and find answers to painful patterns, childhood issues, past life struggles that are returning. *Create safe space to help you relieve overwhelm & stress you currently feel. *Release the wounds that have paralyzed you emotionally. *Ask for guidance and get a sneak peek into what may be coming up next for you. During this session, you'll be able to ask questions and receive the guidance that comes via our Angels. You can also choose to have me pull cards from Angel card & Oracle card decks. During this session you will be able to dive in deeper with a reading/card pull AND pick 1 focus area to concentrate the energy healing. If you are interested, we can also work with your Akashic Records room as part of the session. **Strategy to go deeper into your goals, unravel the challenges, outline the immediate next steps needed to move forward & to design your long term inspired action plan. catered to the goals & specifics we covered & email it to you. This is the perfect option for you if you aren't quite ready to dive in full time to a group membership or can't quite stretch the finances just yet. Whenever we have a group class, you can join us for just that day and get the supplies (if any) that are needed for the class. After your have purchased your day pass you will be emailed the Zoom link to use, to attend the upcoming class. We all know, life gets crazy! This package is for you to pay up front and be prepared for when it does. Grab the certificate now and then schedule your sessions as needed. Package is good for 6 months from date of purchase and may be used to book the specified sessions. You can also use this option to purchase as a gift for someone you know and love. These beautiful waist beads are made with NATURAL stones & crystals, intuitively selected in specific colors to reflect the healing energy you desire to receive and are saged & sit with other healing stones before being mailed out to you. 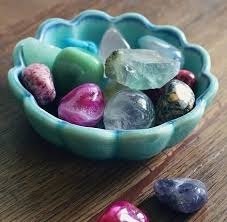 Price starts at $100 + $5 s&h, and goes up to $150 + $5 s&h (depending on specific crystals & size of beads). Once we have the consultation if there is any additional charge to create the piece you want, you will be invoiced. Your piece will be started once the invoice is paid. If we have not already spoken as you purchase this, please be sure to schedule the 20 minute Follow-up session so we can discuss your order, colors and any other necessary details. If we have already spoken, mention that in the comments section at checkout. These beautiful necklaces are designed with MAN MADE and NATURAL stones & crystals, intuitively selected in specific colors to reflect the healing energy you desire to receive and are saged & sit with healing stones and sit with other healing stones. Custom orders include, beaded Malas, Wire wrapped pieces, and Pendulums. (Please note for pendulums this price is for the over-sized piece. If you desire a regular size, then you will recieve 2 for this price). *Relationship issues (marriage, dating drama, can't find a date, etc). *Your money is always funny and you're tired of the broken cycle. *You're not happy with your job or career and ready to live on purpose. *You're tired of the never ending cycle of up and down with your emotions and need BALANCE in your life. *You are ready to heal trauma and pain from your childhood, just ready to stop being a bag lady or man! *You know there's more to life and you're just ready to get it all! *You may be doing pretty good, you're just ready to do better! This BADASS journey has been created for those who want to dive deeper and truly not only do the work, but personalize, and actually ENJOY the HEALING JOURNEY. You want more than just the insight of one or two sessions. You want more than just a quick hack or fix, you want to create SOLUTIONS to your problems and see change and shifts in every single area of your life. You want to cultivate your gifts, heal wounds, get grounded and comfortable in your own skin, and develop or increase your SELF-LOVE, Self-Confidence & Self-Worth. The image of YOU! **This 6 week journey includes a total of 7 sessions (the first is for us to connect and design your journey to best suit your needs. **You will have access to me via the Voxer app to get support between sessions as you are doing your work. **The sessions will be comprised of energy healing, intuitive guidance, strategy and creating the inspired action steps you need to begin intentionally creating the life you want. **You will have access to meditations, audios and my library of classes & teachings, during your six weeks. PLEASE NOTE: This checkout option is to pay in full. Please speak with me if you need to use a different payment arrangement. After Purchase, you will receive your confirmation email. You will receive a 2nd email that contains a gift certificate code to use, to return here and schedule out your sessions. If you do not receive your 2 emails within 3 hours, please email me at iamhealingone@gmail.com and I will resend them to you. I look forward to working with you!